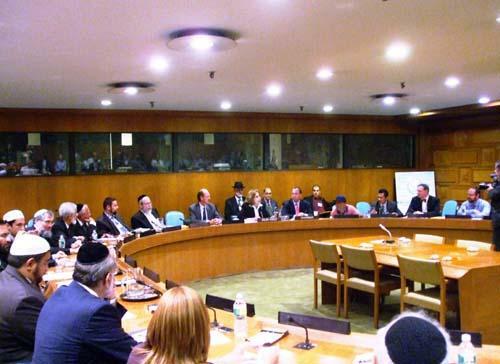 July 20, 2009 – The United Federation for Middle East Peace (“UFMEP”) invited 30 Imams and Rabbis from 13 European countries to hold an interfaith dialogue. The event, titled “Religions for Understanding,” aimed to promote mutual sharing of religious beliefs among the numerous faiths present at the dialogue. We often see conflict arise as a result of religious, cultural, political and economic clashes across nations. It is, therefore, crucial for peace initiatives to begin with the promotion of religious tolerance. The unprecedented delegation of religious and political leaders from across the world served the intended purpose of reaching the global community in pursuit of this goal.